Roland is an independent graphic designer. When his work is slow, or if he’s between contracts, he takes his car out and offers people lifts using Uber X. “I’ll mostly work Friday and Saturday nights, for about 10-hour shifts,” Roland said. In six months since Roland (who withheld his last name for fear of retribution from the taxi industry) began driving for Uber X, he estimates he has made about $10,000, working 20 to 30 hours per week. He said he likes Uber X because customers can see who he is, and where his car is, after hailing him with their smartphones. He can also rate customers, so if someone abuses his car, Uber will have a report. People with bad behaviour can be banned from the service. And there are few upfront costs. Uber keeps 20 per cent of all fares. But it is that low barrier to entry that has the established taxi industry miffed. It is calling on the province to crack down on Uber X once and for all. 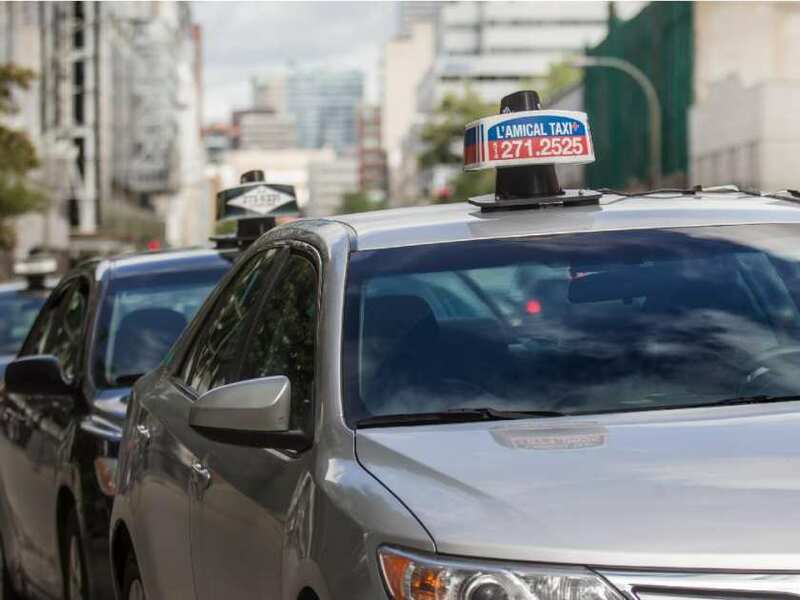 The Comité provincial de concertation et de développement de l’industrie du taxi inc. says if Uber X wants to operate, it must be subject to the same rules as the taxi industry, which requires that drivers hold permits, and that they purchase expensive insurance and licence plates. Because the company doesn’t do that, it can undercut taxi drivers by charging lower rates, the committee said. Dominique Roy, the committee’s treasurer and the president of Diamond Taxi, said the regulations in place ensure that taxi drivers are properly trained, their vehicles meet standards, and that the driver and rider are both insured. But the committee, which is made up of owners of taxi companies, also recognizes that the industry has to adapt to the changing market. Develop an app, and work to ensure there is a larger fleet of electric vehicles. Hassan Kattoua, a longtime taxi driver, said he is against forcing independents to all work for a taxi company, saying this appears to be a way for the industry to eliminate competition. “There is already a body that does enforcement, and that’s the Bureau de Taxi de Montréal,” he said. Kattoua said he agrees that there are a lot of upfront fees for anyone to drive a taxi in the city. A permit costs roughly $200,000 to buy, and most drivers take out a loan to pay for that. Drivers without permits rent cars for roughly $450 per week. Anyone who works for a major taxi company pays upward of $500 per month to have a radio that receives calls. On top of that, taxi drivers must pay insurance, which ranges from $1,500 to $3,000 per year, and owners pay about $1,500 per year for a special taxi licence plate. They must also pay for two inspections of the car and meter per year, at $60 each. Twice-yearly mechanical inspections cost $75, and training for all taxi drivers costs more than $100 every two years. The major taxi companies also keep seven per cent of all credit-card transactions, Kattoua said. After paying all those costs, taxi drivers can keep all the fares they receive. He said because of the high cost to drive a cab in Montreal, it makes him angry to see that Uber X drivers can offer a similar service without paying the same costs. He said if the government wants to regulate Uber, he would have no problem with it, as long as those who already hold lucrative permits are compensated. As long as he was compensated for the money he lost, he said he would not mind if the system is altered so that taxi companies receive just a percentage, or a fee off the top. Some taxi companies have already switched to such a model. Hypra Taxi, a relatively new player in the industry, charges drivers just 47 cents per ride. For that fee, drivers can be hailed using a mobile application, similar to that used by Uber.